Our basketball camp offers a unique program for young players coming from around the world. 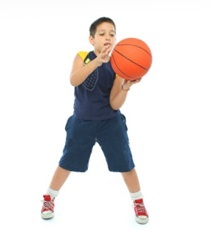 All training methods are carefully selected to improve the players' basketball skills. We attempt to merge the teaching methods of all the best basketball schools - the University School, the NBA School, and the European School. All our coaches are training-educated on a higher education level, as well as skilled through extensive experience gained in training of representation players' teams and in basketball camps. We rely on coaches who are skilled in working with children and teenagers. Our training practice takes place in an indoor court and fitness, we also pay much attention to training of running and jumps, every day, the program includes secondary sport (beach volleyball) and regeneration. Each camp is constructed individually in order to fit the requirements of the teams. Contact Lukas Tramba at office@basketballcamp.cz to recieve an individually created offer for you and your team. And he also coaches the Czech National Team. "Visit a country in the heart of Europe and its capital, Prague, nicknamed The City of a Hundred Towers. You will discover many beautiful castles and fortresses, finding rest and refreshment, while your sons and daughters will be trained in basketball by expert coaches who have coached NBA players such as Welsch and Zídek. The training will take place in the national representation training center in Nymburk, which will be fully at your disposal."